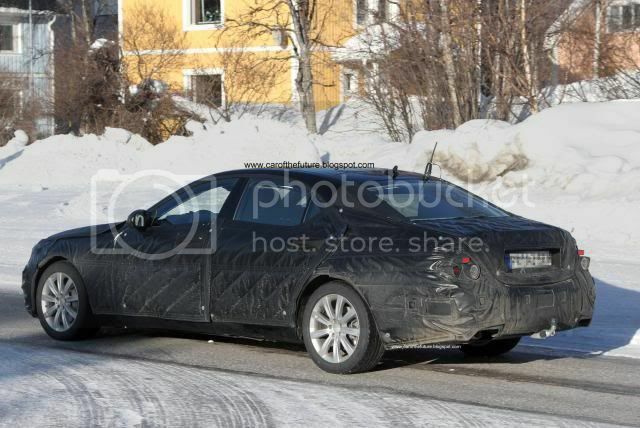 Our spy has caught the next-generation Mercedes S-Class and B-Class undergoing final cold-weather testing in Northern Sweden. 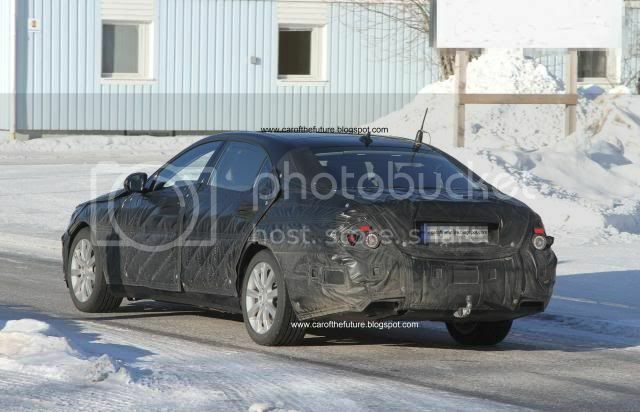 Previous test mules had extensive fake body-panels, however, factory workers have tried their best to disguise the newcomer with a thick plastic coating. 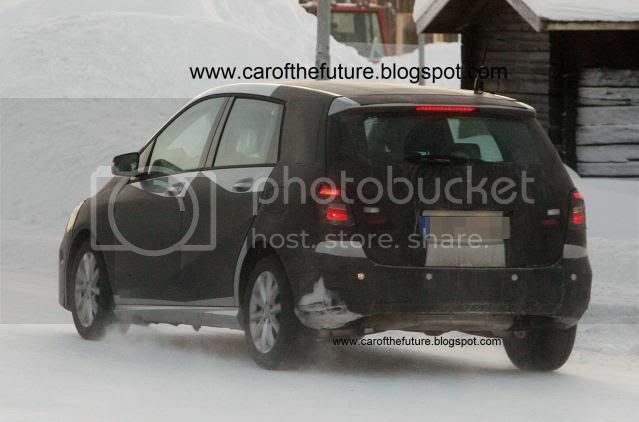 At the rear, the prototype sports bolt-on rear lights. 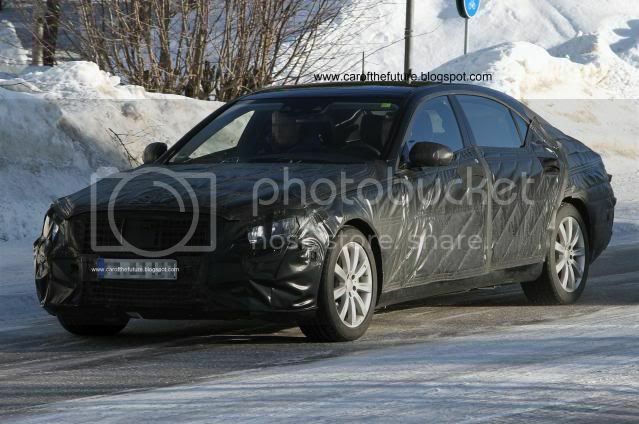 The forthcoming S-Class – codenamed W222 – will be released in 2013 and is very likely to borrow styling from the curvy F700 concept that premiered at the 2007 North American International Auto Show (NAIAS). When it comes to the architecture of the interior, Mercedes will look at the F800 Style concept that debuted at the 2010 Geneva motor show. That means a cleaner cabin with fewer buttons and more contoured marine-style wood and aluminium. 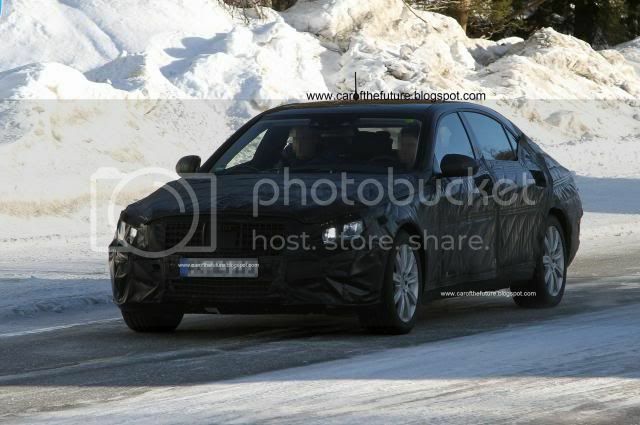 A range of new V6 and V8 MoVe petrol engines will feature, alongside reworked 2.2 CDI and 3.0 CDI V6 diesel powerplants. 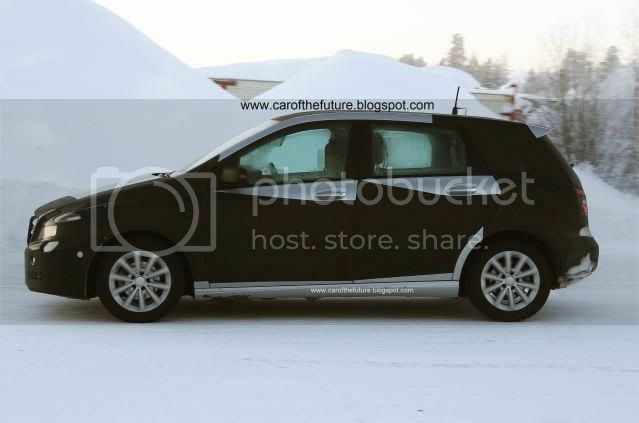 The former 2.2 CDI 4-cylinder may spawn a mild-hybrid to sit alongside a petrol hybrid that will be based on a direct-injection V6 and new battery technology from LiTec. Unconfirmed reports hint that Mercedes wants a host of hybrid variants, including a plug-in hybrid S500 Vision Concept that is powered by a 3.0 litre V6 petrol and a 60PS (44kW) electric motor. 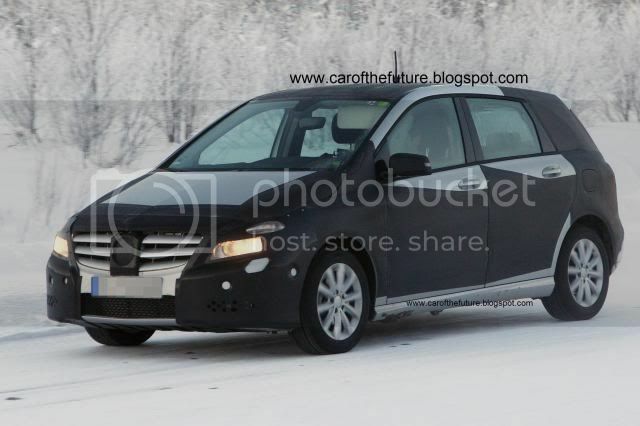 This allows a combined fuel economy figure of 78mpg (3l/100km). Like its predecessor, the new S-Class with arrive with a shed fall of new technology, including a couple of forward-facing cameras integrated into the rear-view mirror. The current forward radar system will also be modified to allow the debut of Magic Ride Control, a damping system that Mercedes anticipates will reduce body movement by 50%, in addition to the system being able to see vulnerable pedestrians. A low-speed adaptive cruise control that overtakes the steering in certain situations will also feature. Look out for a preview at the Frankfurt motor show in October with prices starting from around £58,000 when the car goes on sale in Summer 2012. 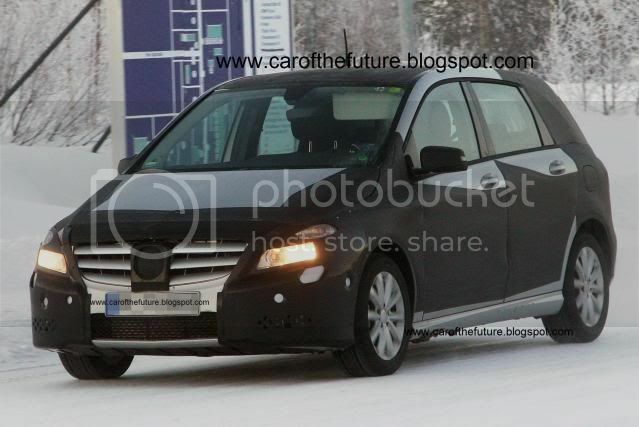 On the other end of the spectrum, the same spy also snapped the compact B-Class MPV. 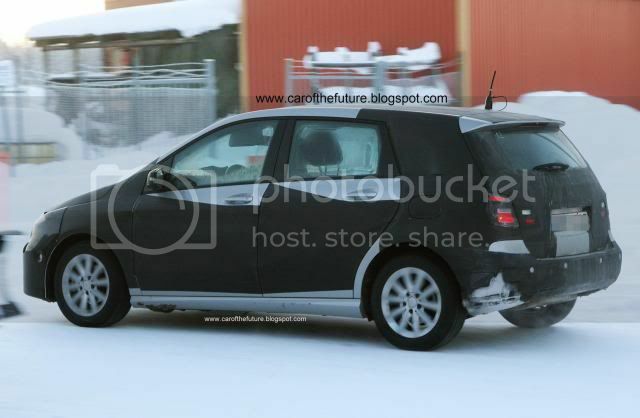 This particular prototype was one of eight B-Class test vehicles leaking in and out of test centres all over Northern Sweden. 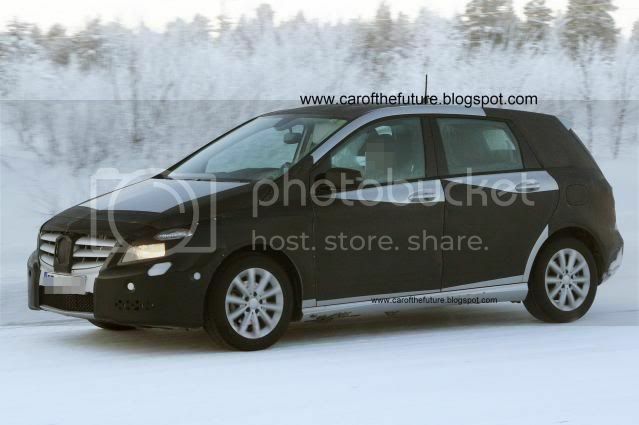 Unlike its successor, the new B-Class will look like a hatchback than an MPV as Mercedes is set to produce a crossover underpinning the newcomer. Beneath the plastic disguise on the lower fascia, plusher trim-levels will sport LED daytime running lights while entry-level models will have a set of fog lights. Some vehicles had LED indicator lights that will be available with bi-xenon headlights as an option. 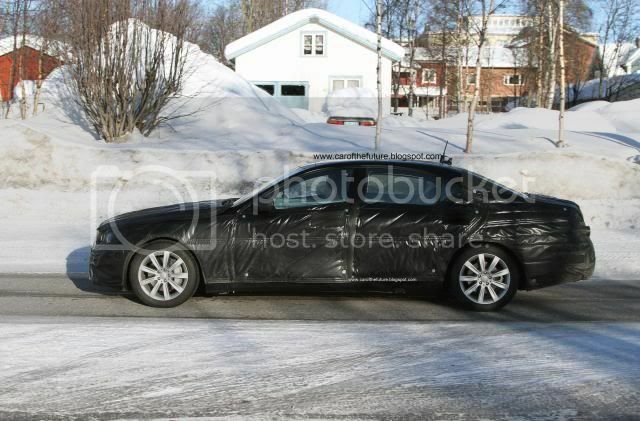 The future of the new MFA platform will see the firm scheduling a coupé, crossover, sedan, and a five-door hatchback. Powerstations will come from a collaboration involving Renault and will include a turbocharged 1.2, 1.4, and 1.8 litre petrol in addition to a 1.6 CDI and a range-topping 2.2 CDI, the latter bespoke to Mercedes. 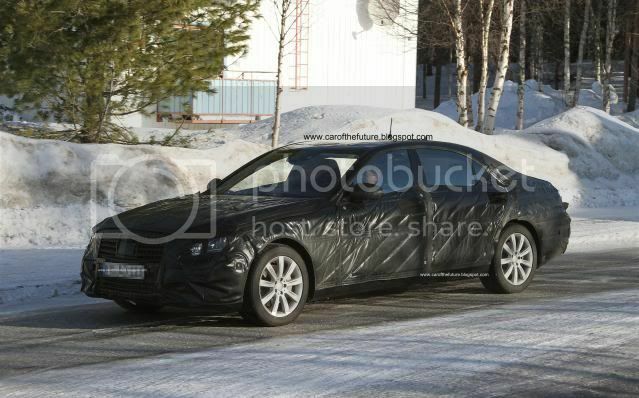 A 6-speed manual will be standard. The newly developed 6-speed dual-clutch transmission will replace the CVT gearbox and both transmissions will be offered with stop/start.